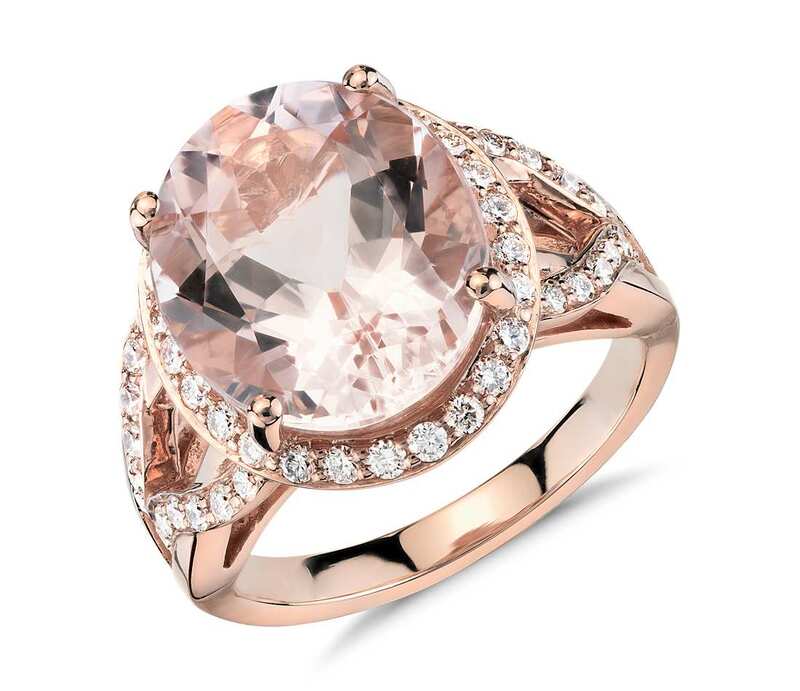 Stunning in every way, this gemstone and diamond ring features an oval morganite surrounded by brilliant diamonds and complemented in 18k rose gold. 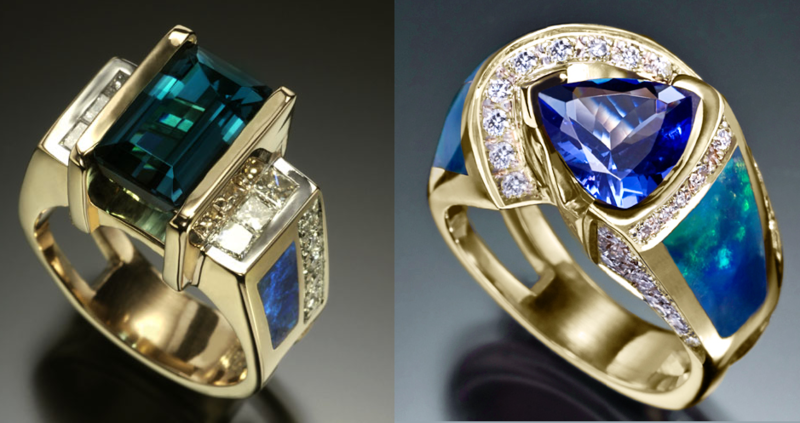 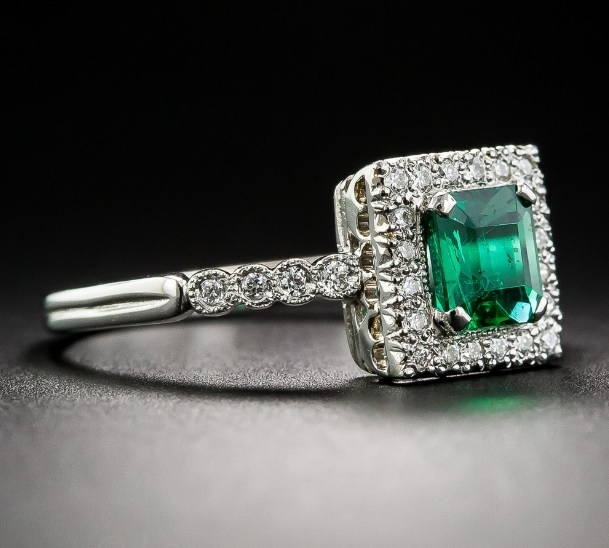 Designer Emerald and Diamond Ring. 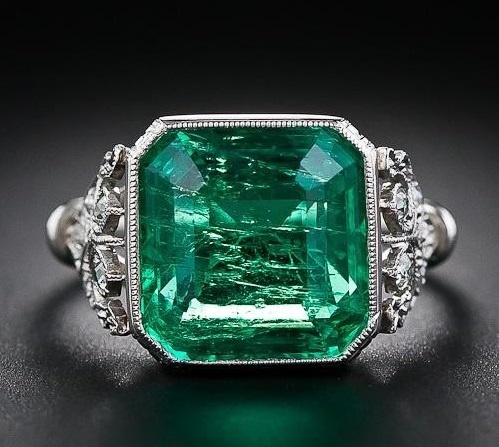 This Emerald is also GIA Certified. 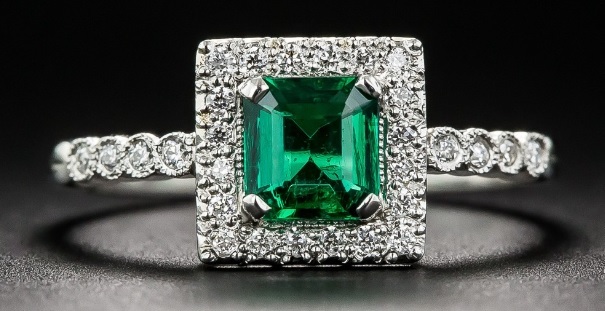 A gorgeous 24.54 Cts Zambian emerald cut emerald and diamond designer ring. 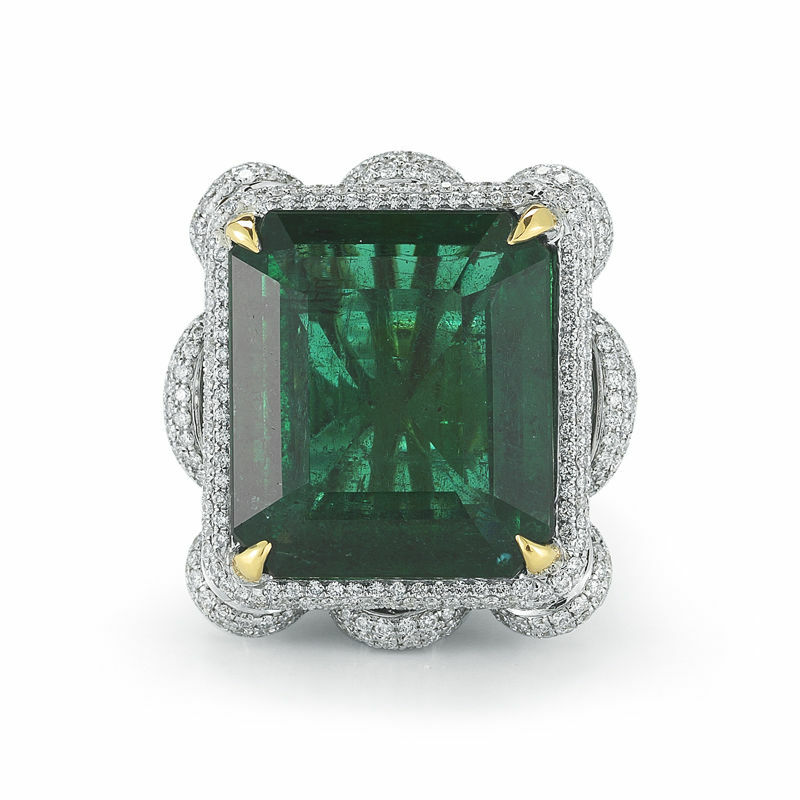 This Emerald is also GIA Certified. 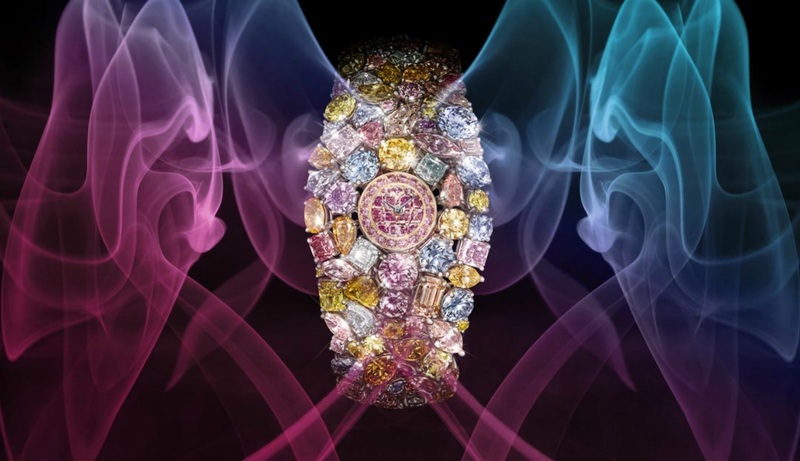 • Total Diamond Wt. 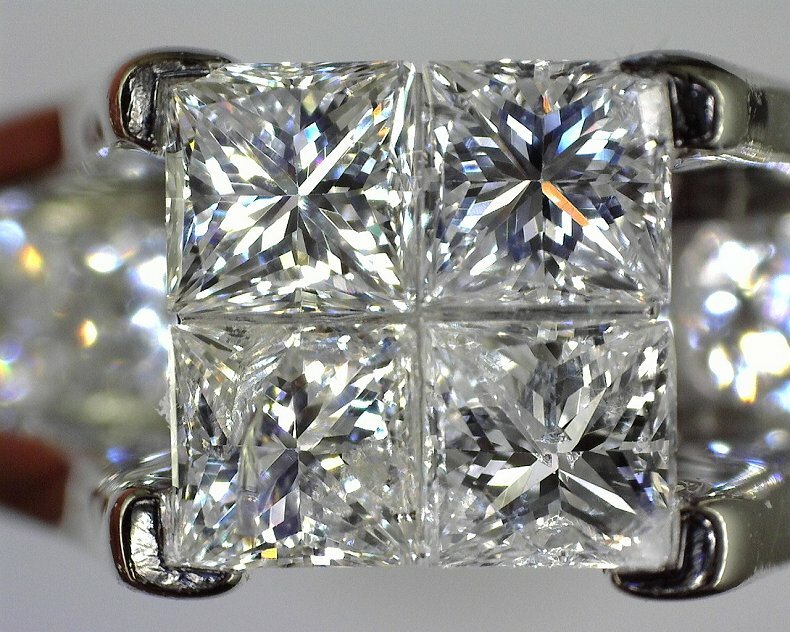 : 7.40Ct. 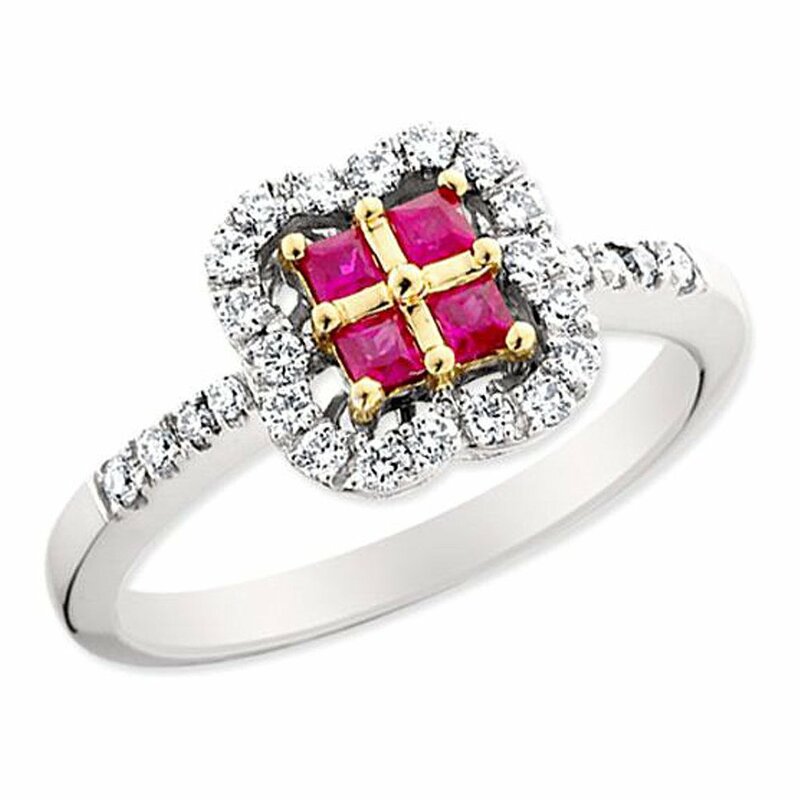 *All diamonds are EF/VVS Quality & Conflict Free. 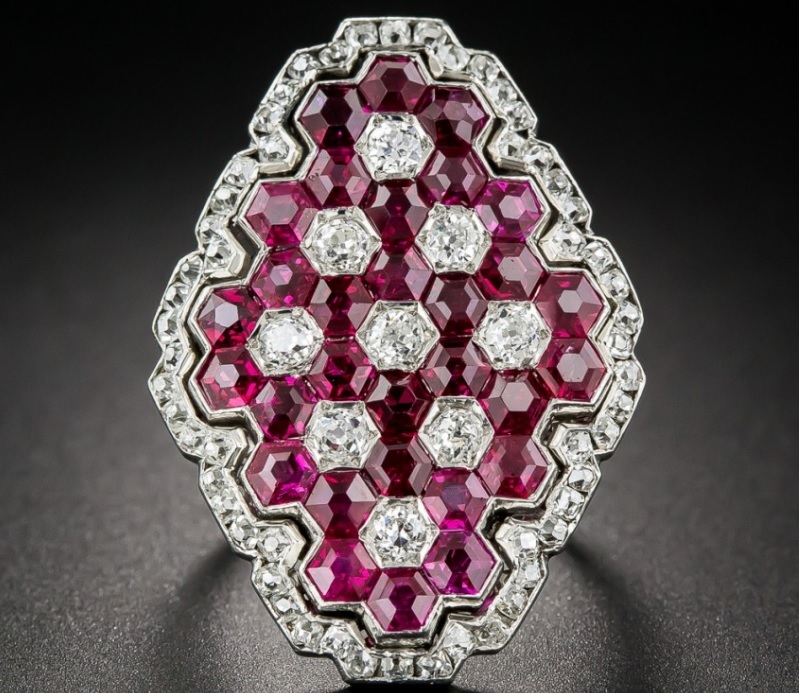 Unique round cut genuine Ruby ring weighing approximately 0.24 carat accompanied by sparkling round cut Diamonds in an exclusive 18 karat yellow and white gold AMORO setting. 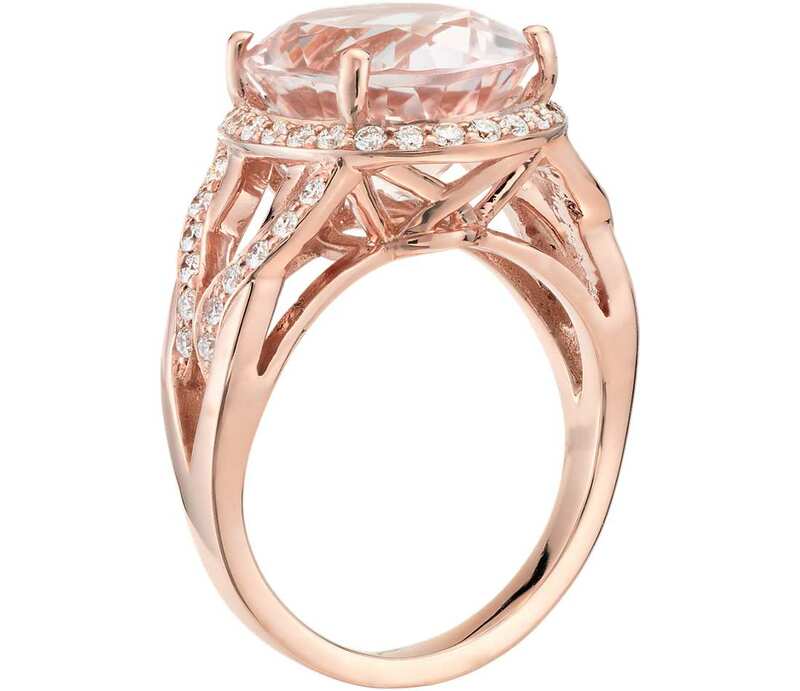 Captivate onlookers with this incredible marquise cut diamond engagement ring. 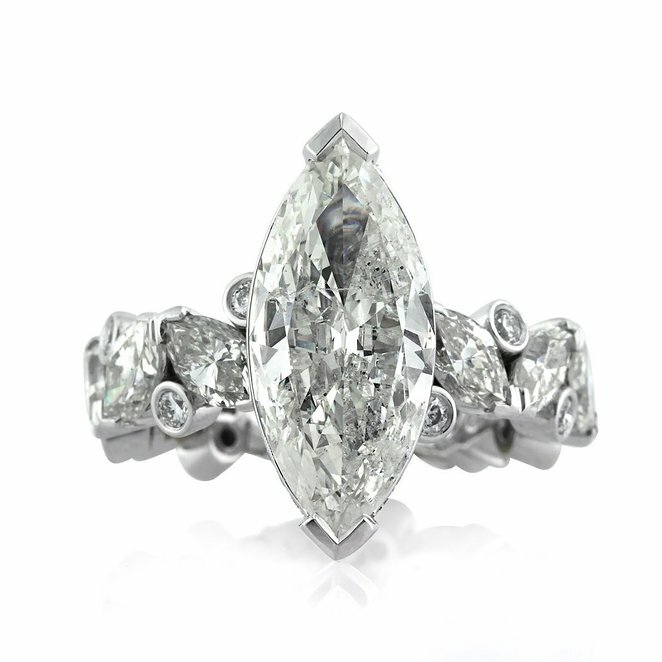 Poised in the center of this magnificent designer setting is a 3.26ct marquise cut diamond AGS graded at J-SI2. 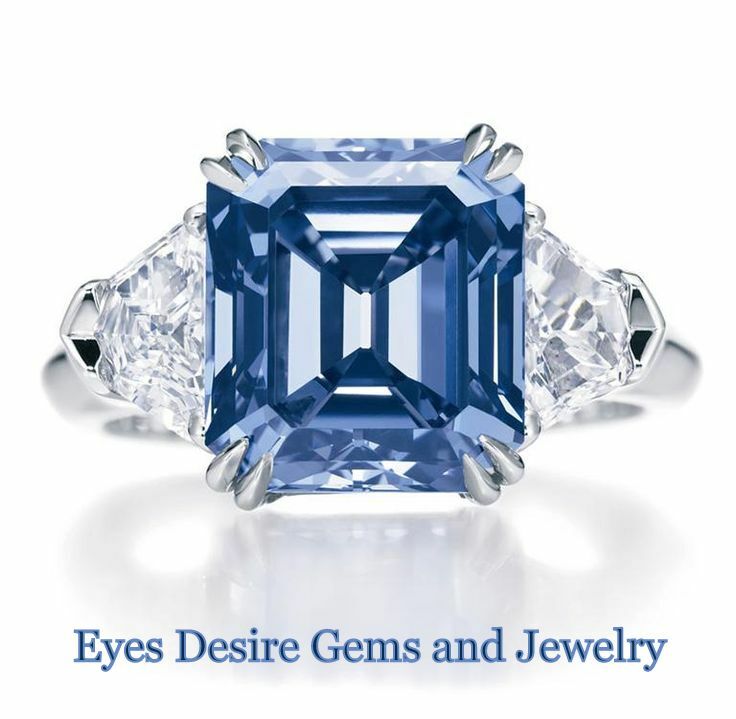 The center stone faces up like a four carat diamond and has a very pleasing shape. 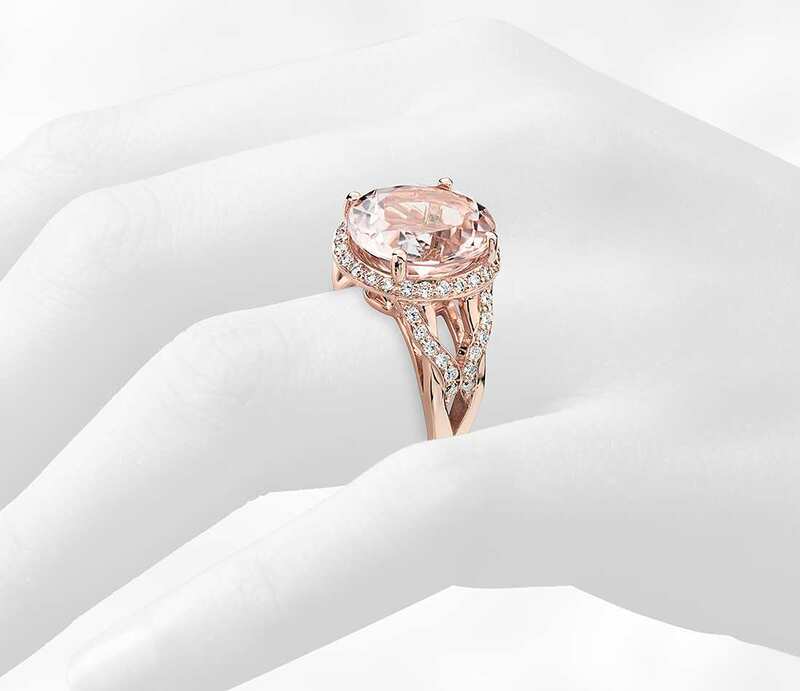 The one-of-a-kind shank is adorned with marquise and round brilliant cut diamonds all the way around in an eternity style. 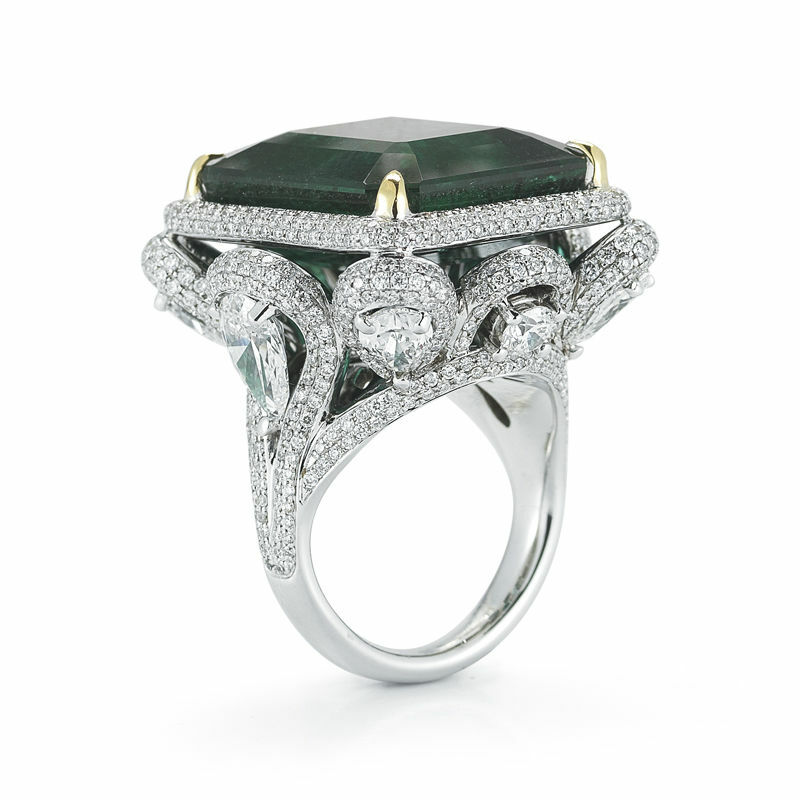 The spectacular basket is embellished with additional marquise and round cut diamonds and filigree accents throughout. 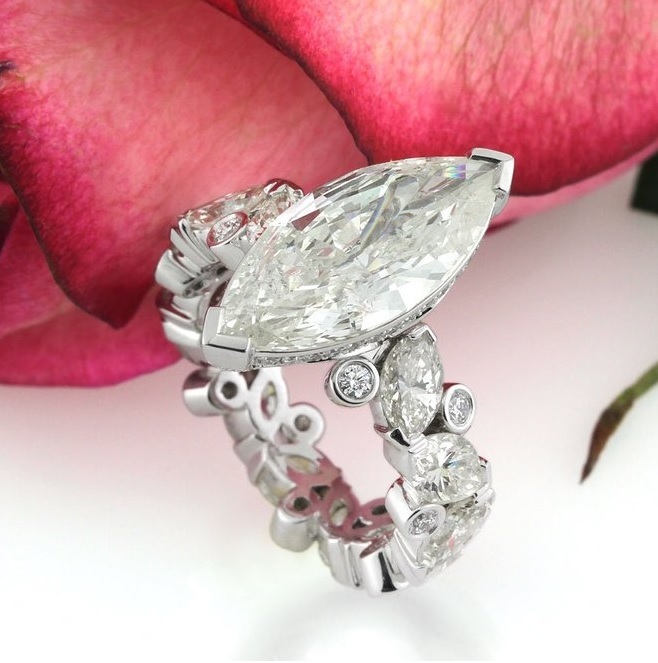 Stunning and brilliant–this substantial marquise diamond engagement ring is surely to become an heirloom. 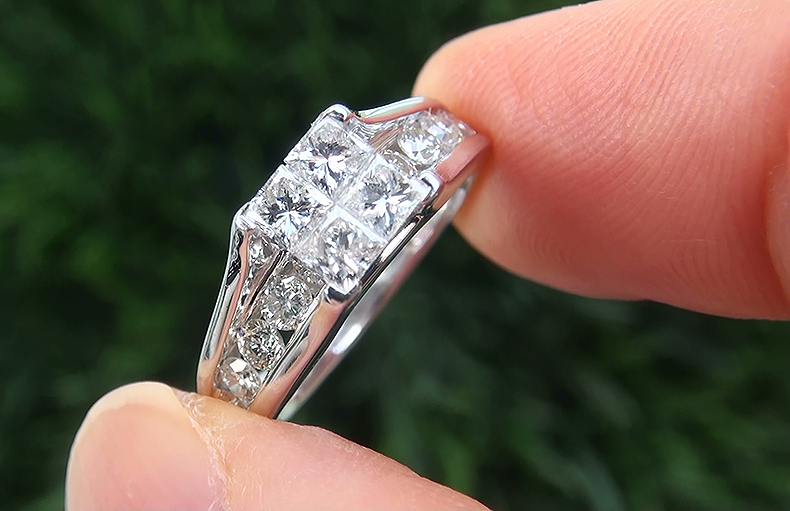 World Class 1.50 Carat UNTREATED Near Flawless to Eye Clean VS1-SI2 Clarity G-H Color Diamond 3 Stone Past, Present & Future Engagement – Anniversary Ring. 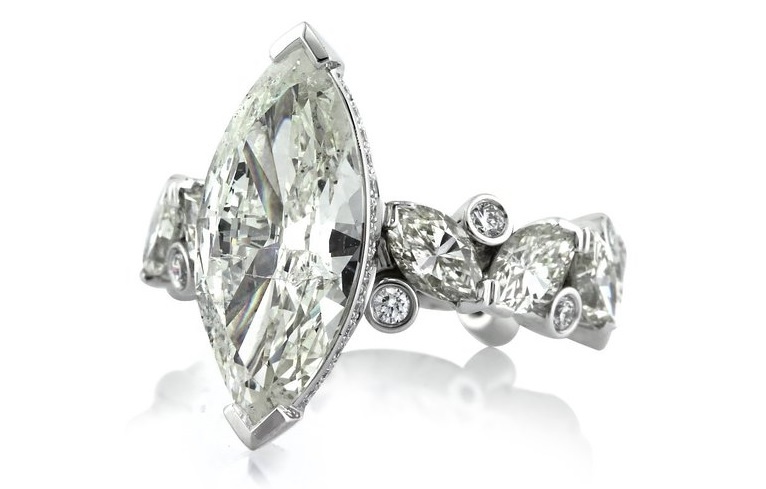 This one of a kind estate ring features three JUMBO Size diamonds totaling 0.95 carats PLUS accent diamonds that total an additional 0.55 carats with near colorless “G-H” color, elegant round brilliant, master cutting and Near Flawless VS1-VS2 clarity with ELECTRIC SPARKING FIRE!…a true untreated near colorless natural diamond treasure! 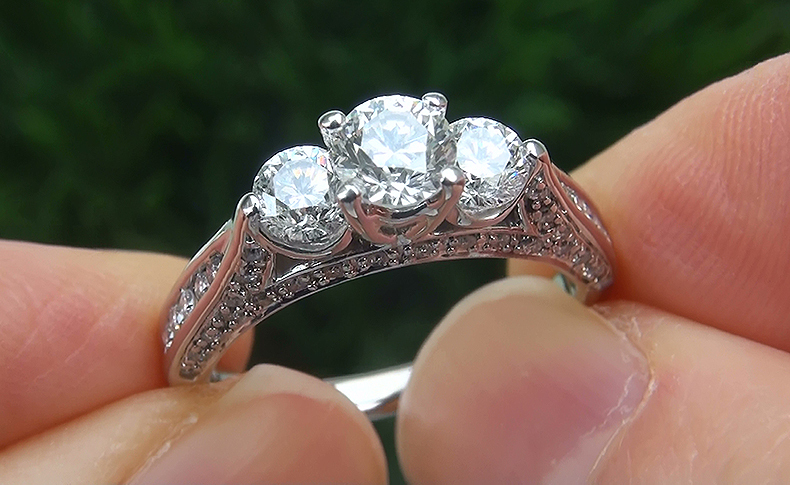 The diamonds are set in an eye catching Three Stone classic design. 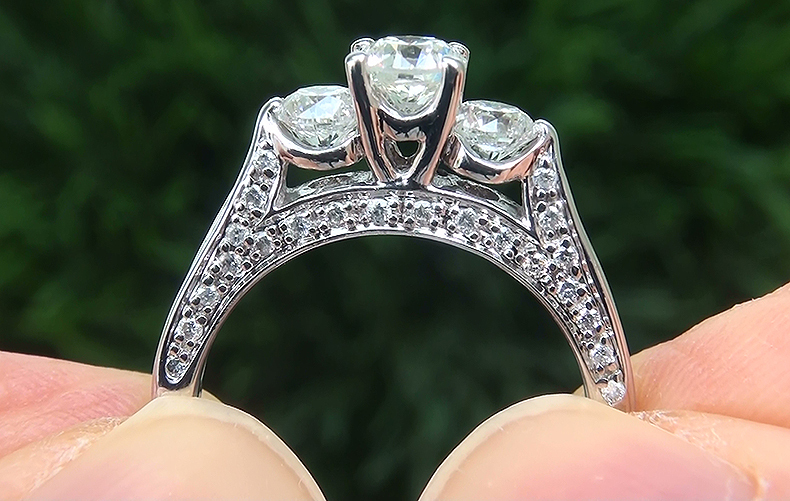 The setting is a solid 14k white gold beauty with all of the earmarks of a true jewelry master craftsman. 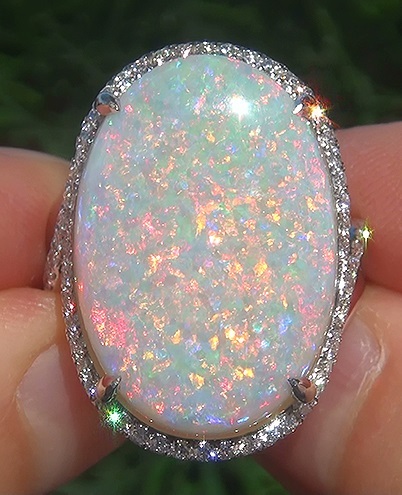 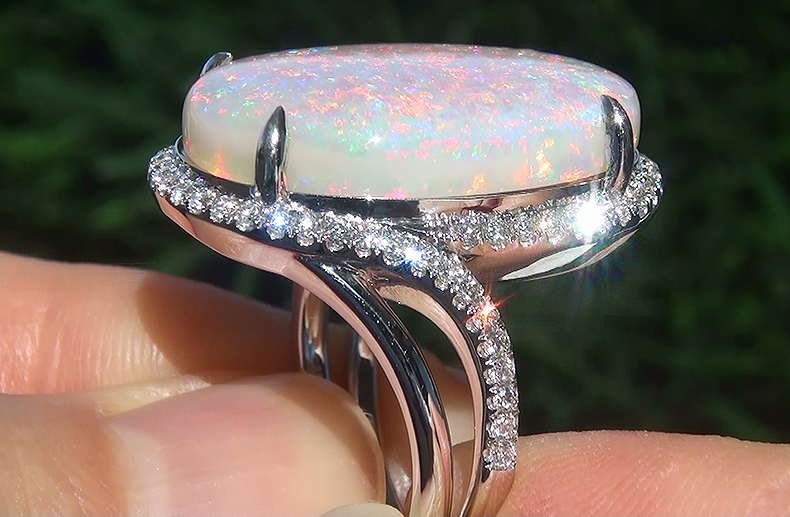 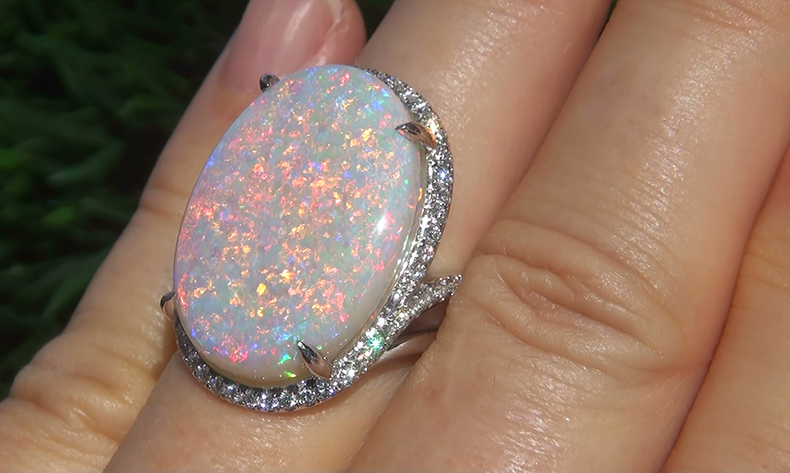 This unique estate ring has it all. 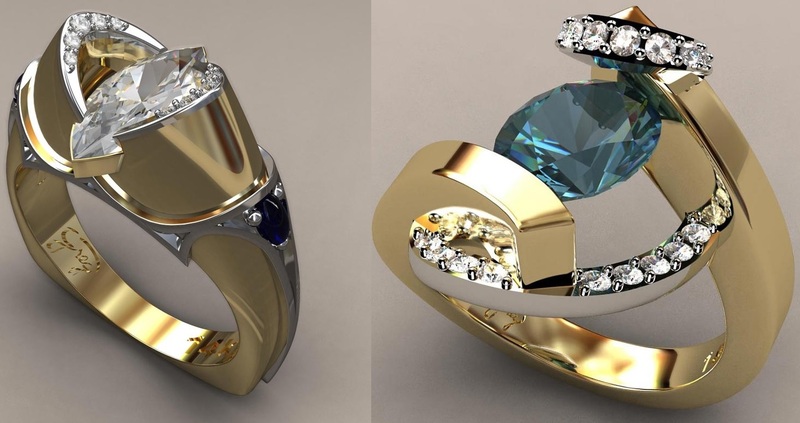 Certified 1.55 Carat Invisible Set Diamond Engagement Ring. 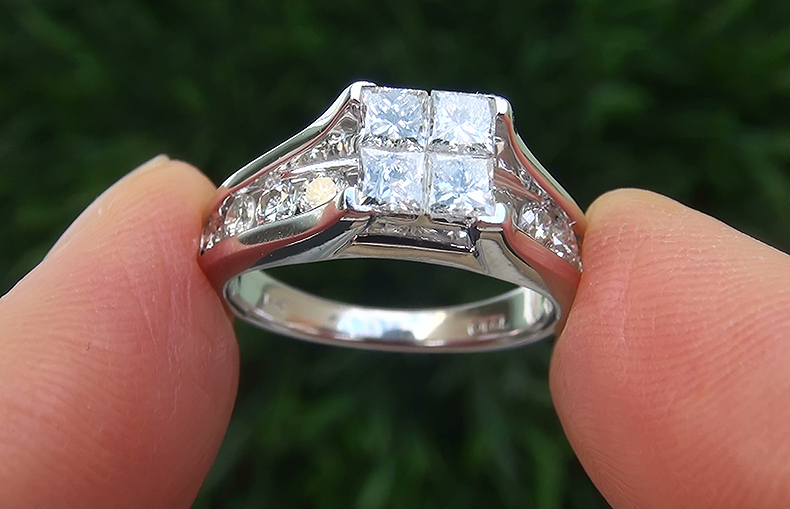 This gorgeous invisible & channel set authentic estate ring features an impressive selection of gorgeous princess cut and round brilliant diamonds with SI1-I2 Clarity (with only one I2 clarity princess cut diamond), and near colorless “G-H” color, large size, master cutting and outrageous sparkle and fire. 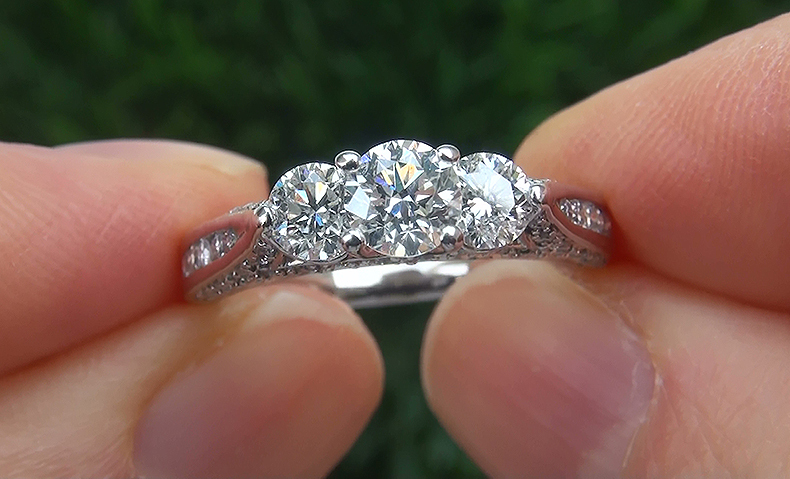 A true untreated Certified near colorless diamond estate treasure! 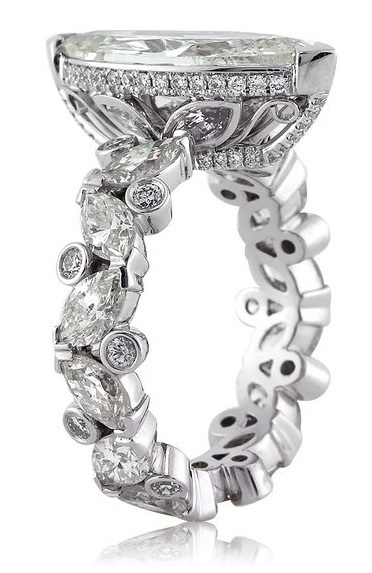 This estate ring boasts 14 impressive diamonds set in a world class solid 14k white gold setting. 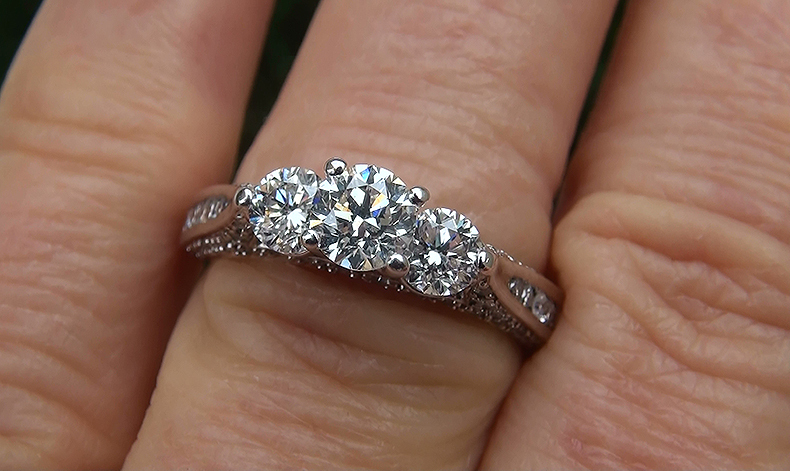 The setting is an absolutely stunning masterpiece with a selection of extra large size eye catching diamonds you can see sparkling from across the room. 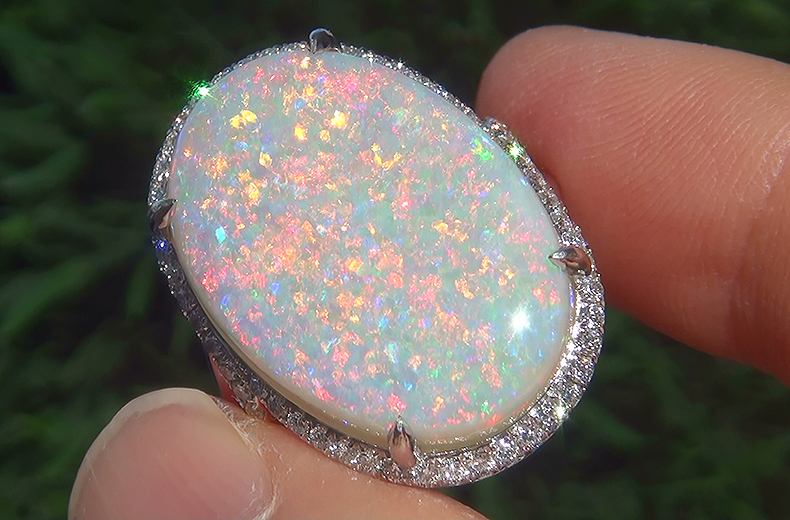 This estate beauty has all of the earmarks of the hand of a true jewelry master craftsman. 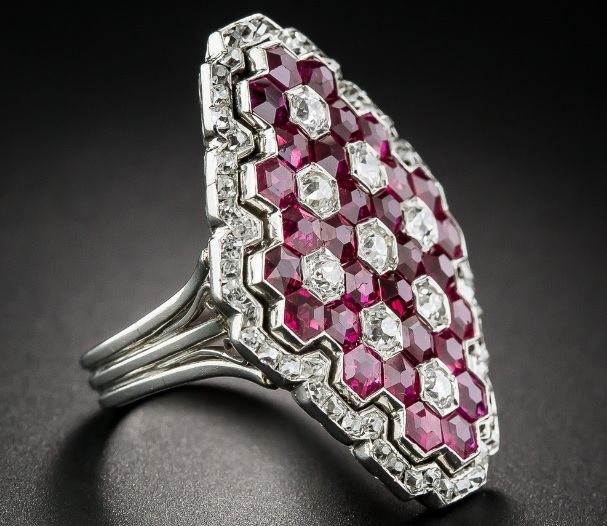 A rare opportunity to own a fine quality diamond heirloom treasure!